Lewiston, NY - Commodore, Artist & Curator of the Higner Maritime Collection Justin J.M. Higner, installs part of his 180 ship fleet he created over the last 25 years. 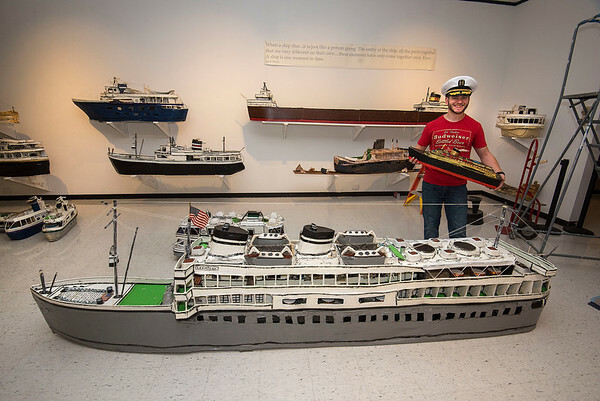 The ship builder is in the process of installing his exhibition at the Castellani Art Museum of Niagara University that will open on Sunday, September 9, and run through March of 2019.